WASHINGTON, D.C. – U.S. 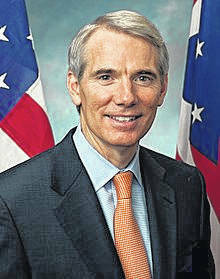 Senator Rob Portman (R-OH), chairman of the Permanent Subcommittee on Investigations (PSI), Wednesday unveiled a majority report detailing, for the first time, how the Obama administration secretly granted a license authorizing the conversion of Iranian assets worth billions of U.S. dollars using the U.S. financial system — despite repeated assurances to the public and Congress that Iran would not be granted access to the U.S. financial system. The Obama administration then asked two U.S. banks to execute the transactions, and they refused to do so. The report outlines key findings and recommendations designed to prevent this from happening in the future. “The Obama administration misled the American people and Congress because they were desperate to get a deal with Iran,” Portman said. “Despite claims both before and after the Iran deal was completed that the U.S. financial system would remain off limits, the Obama administration issued a specific license allowing Iran to convert billions of dollars in assets using the U.S. financial system. The only reason this transaction wasn’t executed was because two U.S. banks refused, even though the administration asked them to help convert the money. Sanctions are a vital foreign policy tool, and the U.S. government should never work to actively undermine their enforcement or effectiveness. “The report outlines key transparency recommendations to ensure these secret side deals never happen again, including requiring the current administration to keep congressional committees of jurisdiction up to date on the status of any future negotiations with Iran, disclosing to Congress any specific licenses that are proposed, and putting in place stronger enforcement of U.S. sanctions,” Portman said. Portman then delivered remarks on the Senate floor Wednesday evening highlighting the release of his investigative report from the PSI. The report outlines key findings and recommendations designed to prevent this from happening in the future. — At Iran’s request, the Obama administration granted Iran access to the U.S. financial system, despite repeated public assurances that it would not do so. Three days after Implementation Day, Bank Muscat contacted the Office of Foreign Assets Control (OFAC), the agency within the Treasury Department responsible for enforcing U.S. sanctions, on behalf of the Central Bank of Iran. Bank Muscat sought to convert $5.7 billion in Omai rials into euros on behalf of Iran. Because the rial is pegged to the U.S. dollar, the most efficient conversion was with an intermediary step through a U.S. bank using U.S. dollars. — U.S. government officials testified before Congress that Iran was not granted access to the U.S. financial system under the Joint Comprehensive Plan of Action (JCPOA). In July 2015, Treasury Secretary Jack Lew testified before the Senate Foreign Relations Committee that, under the JCPOA, Iran “will continue to be denied access to the [U.S.] financial and commercial market.” Later that same month, the Treasury Department’s Acting Under Secretary for Terrorism and Financial Intelligence, Adam Szubin, testified to the Senate Banking Committee: “Iranian banks will not be able to clear U.S. dollars through New York, hold correspondent account relationships with U.S. financial institutions or enter into financing arrangements with U.S. banks.” Ambassador Thomas Shannon from the State Department testified that there would not be an “exchange of dollars inside the U.S. financial system” and that Iran would not have access to the larger U.S. financial system. — The Treasury Department issued a specific license to authorize Iran’s assets at Bank Muscat to be converted to U.S. dollars through the U.S. financial system. On Feb. 24, 2016, OFAC issued a specific license to Bank Muscat authorizing Iranian assets worth roughly $5.7 billion to flow through the U.S. financial system. The Bank Muscat specific license expired on Feb. 28, 2017. — U.S. government officials encouraged two U.S. banks to convert Iran’s rials. Following the issuance of the specific license, OFAC contacted two U.S. banks to convert Iran’s rials to U.S. dollars. A State Department official even suggested that Secretary Kerry or Secretary Lew should contact the U.S. banks and encourage them to facilitate the conversion. Both banks declined to complete the transaction due to compliance, reputational and legal risks associated with doing business with Iran. — The State Department official negotiating implementation of the JCPOA understood giving Iran access to the U.S. financial system was prohibited by U.S. sanctions and outside the relief under the JCPOA or JPOA. That official wrote to his Iranian counterpart that the specific license “exceeded” the U.S. commitments under the JCPOA. He continued that the Treasury Department authorized the transaction “as a gesture of support” to Iran. — Materials prepared for Treasury Secretary Lew to testify before Congress about the JCPOA suggested he disclose the specific license to Bank Muscat “if pressed.” In his testimony, Secretary Lew did not disclose the specific license authorizing Iran to access the U.S. financial system. In fact, the Treasury Department maintained Iran was not given access to the U.S. financial system, nor was the U.S. government working to give them access. — The State Department and Treasury Department held at least 200 meetings or “roadshows” around the world to encourage other countries to do business with Iran. Treasury Department officials downplayed any potential future penalties or fines, stating that 95 percent of the time, OFAC sends a warning letter or takes no action. And at least one European regulator who attended an OFAC roadshow commented that foreign financial institutions felt “political pressure” to conduct business with Iran and Iranian companies. — Iran’s assets remained at Bank Muscat. Despite issuing the specific license to allow Iran to access the U.S. financial system, Bank Muscat was unable to effectuate the conversion using the U.S. dollar. The State Department indicated Iran converted the funds in small increments using European banks and without accessing the U.S. financial system. — Informed future negotiations with Iran. The current administration should be aware of the importance of Iran accessing the U.S. financial system in any future negotiations regarding sanctions relief with Iran. The administration should brief congressional committees of jurisdiction and oversight committees periodically and on request of the status of any future negotiations. — Congress should require the Treasury Department to provide notice of any specific license to Congress. The notice to Congress should be provided to all congressional committees of jurisdiction and oversight committees within a reasonable time prior to the license taking effect. The notice should, at minimum, include a copy of the specific license. — Transparency on other sanctions relief granted to Iran and whether this relief also exceeded the scope of the JCPOA or contradicted public statements by Obama administration officials. The Treasury Department should immediately provide all JPOA and JCPOA related specific licenses and comfort letters to congressional committees of jurisdiction and oversight committees. — Agencies should increase coordination with regard to sanctions. The State and Treasury Departments should closely coordinate when discussing sanctions relief to ensure that State Department policy goals can be properly executed with Treasury Department tools, such as general or specific licenses. — Increased policing of U.S. sanctions policies. OFAC should effectively police U.S. sanctions and ensure the current sanctions regime is properly enforced. OFAC officials should also refrain from telling foreign persons and entities that violations of U.S. sanctions only result in an enforcement action five percent of the time.